Some of us are full-fledged, active traders that know all ins and outs of CS:GO skin trade. Others may know about some aspects of CS:GO skin trading, but don’t consider themselves veteran traders. There are also people that never even thought about selling CS:GO skins that they have laying around in their Steam inventory. Do you know what they all have in common? They can sell their unwanted CS:GO skin for cash. But to do that they would have to know how to evaluate their skin inventory. In this post, we’ll focus one topic: how to easily evaluate CS:GO inventory price and do it in a way that will keep your Steam account’s personal data, and especially your Steam Web API key, secure. But, let’s start from the beginning – how to log into SkinWallet for the first time. 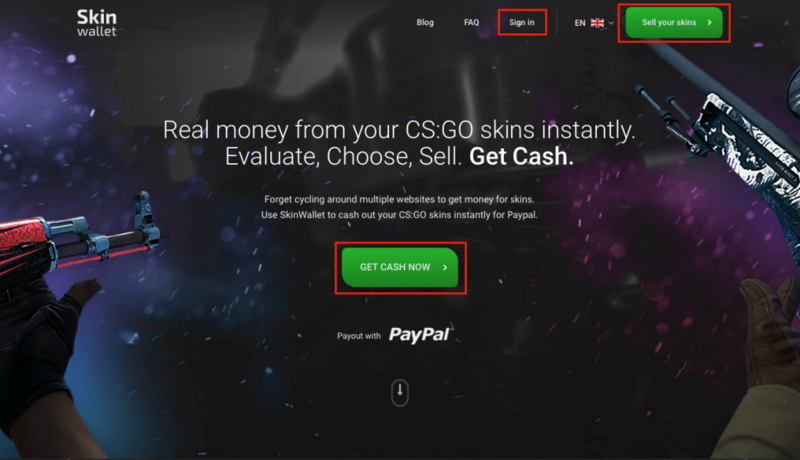 When you arrive at SkinWallet landing page there are three ways in which you can proceed with logging in: either click on one of the green buttons (“Sell your skins” on the top or “Get cash now”) or by clicking on “Sign in” option in the menu bar. This will open a window with different logging in options. 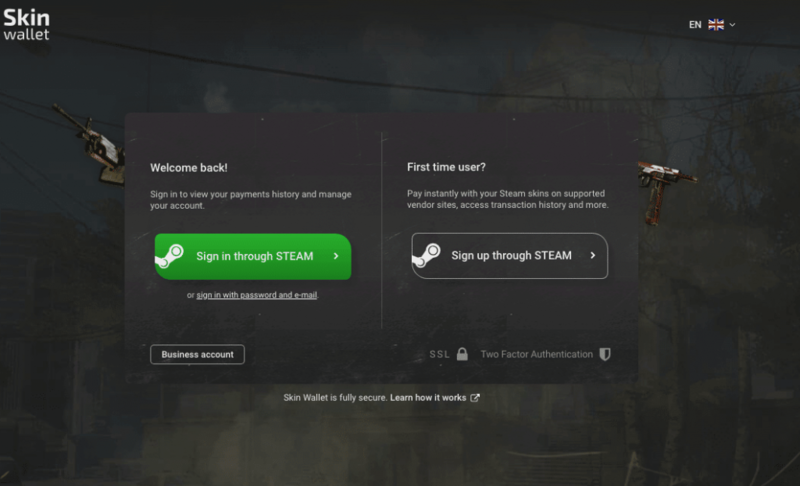 If you’re a first-time user, you will be asked to log in using your Steam account credentials. Don’t worry – our website is secure and all connections between the client and the websites are encrypted with an SSL certificate. Your browser should display a padlock icon next to the website address. If that is not the case, do not proceed and refresh the session. The login window will open for you in the new browser window. It is a Steam community page, so it is 100% secure. Fill in your login and password for the account you want to trade from and sign in. Then, we will ask you to proceed to SkinWallet. Alternatively, you may also log in to Steam through your web browser beforehand and just proceed to SkinWallet from the login window. To fully enjoy every feature of SkinWallet, you will have to fill in some of the details. Even though you have already shared your Steam account ID with us, we still need a piece of information and one change at your Inventory display. First, to properly display your Steam Inventory and trade with you, we need your Trade URL. 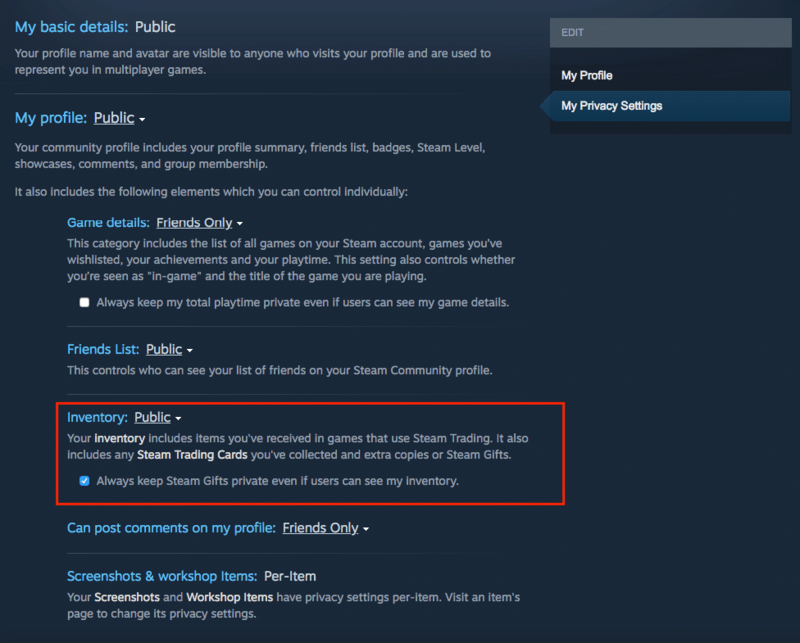 You can find your current Steam Trade URL by going to your Steam profile in two ways. You can just go to SkinWallet settings page and click on ‘Find trade URL’ which will take you straight to your Steam Trade URL page. If you want to do it yourself, start by going to your Steam profile and click on Inventory. Then go to Trade Offers and pick the option that says ‘Who can send me Trade Offers?’. This will bring you to a window in which you can see your Trade URL and create a new one if you want to. Simply click on ‘Create New URL’ and you’re ready to go. Changing your Trade URL from time to time will stop unwanted people from accessing your current inventory. 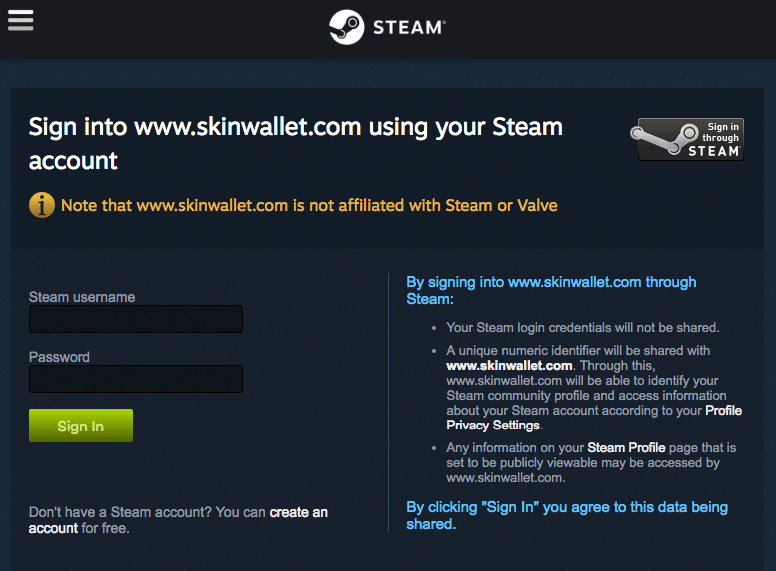 Whatever you decide to do, copy your Steam Trade URL and go to SkinWallet. 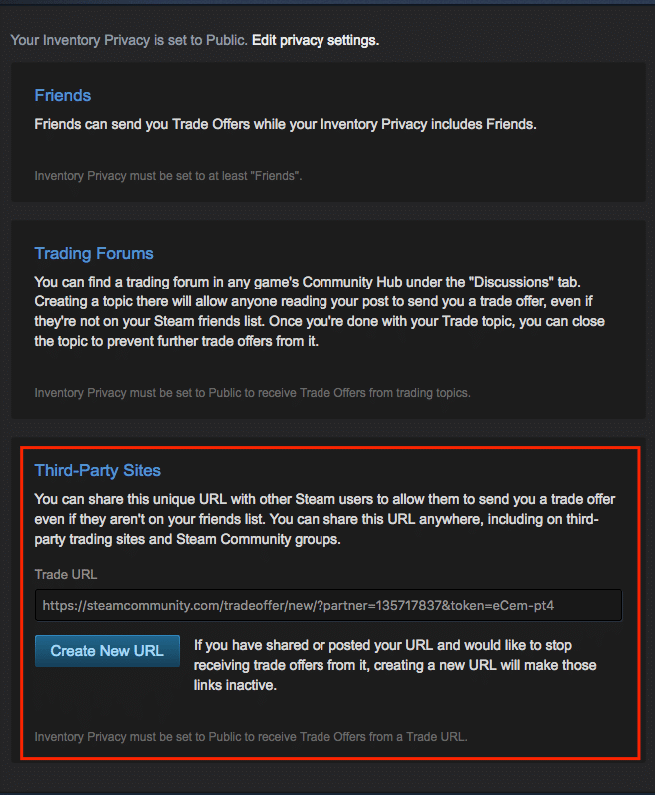 Go to the settings page and paste your current Trade URL to blank labeled as Steam Trade URL in the account details. Remember to click on ‘Change details’ to save any changes to your account info. The second thing is, you have to set your Inventory to Public to trade with third-party sites through Trade URL. To change your inventory visibility settings you will have to access your privacy settings. You can do that by going to your Steam profile and clicking on edit profile. The privacy settings will be available under ‘My Privacy Settings’ tab. Change the Inventory visibility to Public and save the changes. 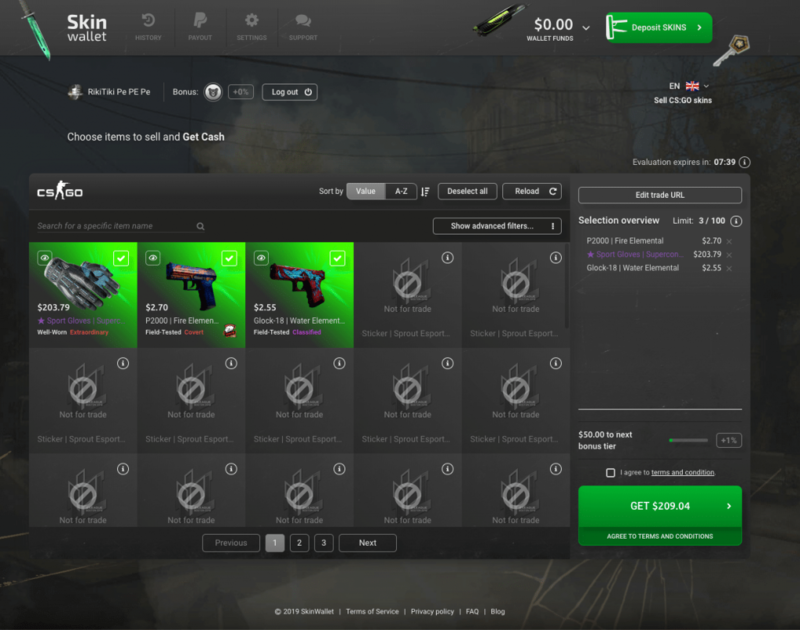 Finally, you’re ready to reveal your inventory price and trade your skins for real cash. Just go to SkinWallet while being logged in and your available inventory items should be visible in the deposit window. There will be the price we’re willing to pay displayed next to each skin. The prices change daily depending on the skin market, so if you find the price not satisfactory, you can always drop by the next day. 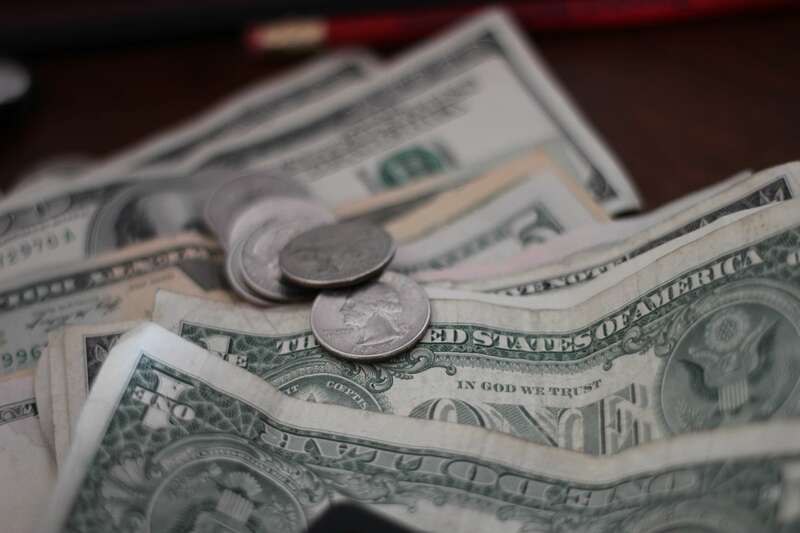 However, please bear in mind that among all third-party sites that buy skins in bulk and offer instant payouts we’re the one that pays the best. And here it is – your inventory price! Now you’re ready to trade whenever you want. For your convenience, a short guide that may be helpful in case you want to sell CS:GO skins.